There are several hundred species of bees native to the British Isles and with many in decline or “at risk”; there has never been better time to give them a helping hand by growing a few native wildflowers. It is hard to find many wildflower species that aren’t good for bees, however it is probably also fair to say, that certain varieties may be somewhat better than others. 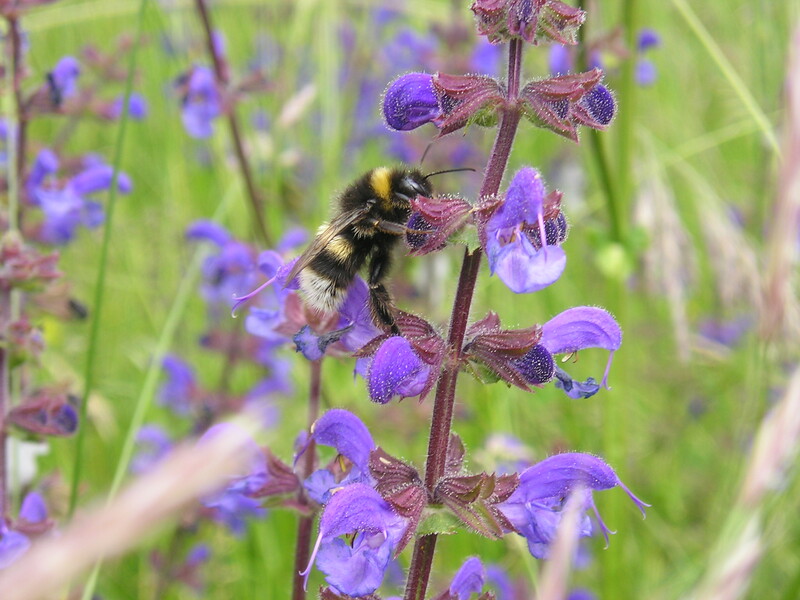 Viper’s Bugloss, Wild Thyme, Foxgloves, Hedge Woundwort are some notable examples of plants that are exceptionally good for bees but there are many others. Generally bees are attracted to flowers by a combination of colour and scent so wildflowers such as Scabious, Clovers, and Primroses generally work well. If you wish to give bees a helping hand by growing native wildflowers, it is important to try and provide a rich nectar source for as long as possible. The first bees often appear very early in the season and scented plants such as Snowdrops, Primroses can be particularly important in the early months of spring followed by Hedge Garlic, Cuckooflower, Bluebells and Dandelion. Similarly it is also important to grow plants that will flower late into summer and early autumn. At that stage of the year, plants such as Devil’s bit scabious, Evening Primrose, and Toadflax can be very useful. It is generally best to plant in full sunlight, however bees will also visit shady areas if tempted by the right plants. Primroses, Hedge Garlic, Wild Foxglove, will all provide a succession of nectar rich flowers in shaded areas and there are very few plants better than Hedge Woundwort for attracting bees to the shade of a hedgerow or woodland edge in mid-summer. Below is a list of a few British wildflower seeds that will all provide an exceptionally rich nectar source for Bumblebees and Honey Bees. We can supply these individually or as part of a Wildflower mix for Bees along with suitable meadow grasses.